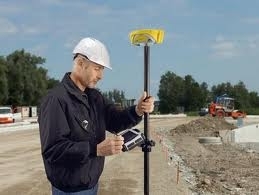 Geomax Zenith35 Pro TILT&GO, Measure hidden points with tilted pole, Precise electronic bubble, FULL CONNECTIVITY, Control with any Wi-Fi® device, Easy to set up and connect, SUPERIOR Novatel PERFORMANCE, All satellite systems supported, NovAtel® technology, Selectable RTK modes. 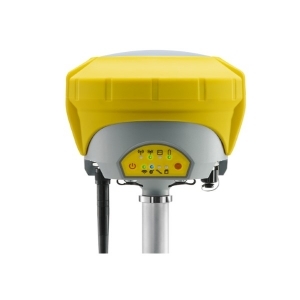 The GeoMax Zenith15 is a complete and fully integrated GNSS receiver, allowing tracking GPS and GLONASS systems. Available as GSM or GSM-UHF model Zenith15 is your economic Receiver choice. COMPACT Integrated GSM antenna Quick swappable SIM & microSD card, Complete control with receiver keypad, HIGH PERFORMANCE, NovAtel® technology, GPS, GLONASS & SBAS, GSM/GPRS, UHF radio & Bluetooth®, MIX & MATCH, Combine with your preferred datalogger Carlson, Mini, or Surveyor2, Juniper Allegro, a variety of Geomax Collectors, and software, Open connectivity, Complete setup flexibility. The all-new Carlson BRx6 is a multi-GNSS, multi-frequency smart antenna, just released by Carlson Software Inc. Each BRx6 contains a multi-constellation, multi-band 372-channel GNSS receiver, Athena© RTK technology and an integrated Atlas© L-band receiver. In addition, the BRx6 contains electronic sensors that measure tilt, direction (electronic compass) and acceleration, fully supporting SurvCE’s advanced features like LDL (Live Digital Level or e-bubble), leveling tolerance, auto by level, tilted pole correction and advanced stakeout features. SurvCE contains sophisticated checks for compass and acceleration anomalies to ensure accuracy. 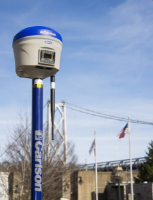 Brx6, and Zenith35 PRO Designed for use by surveyors, contractors, builders, and engineers, the Carlson BRx6 delivers the highest positional accuracy at an affordable price.